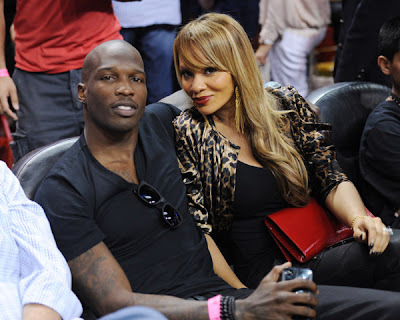 Chad Ochocinco and his fiance, Basketball Wives Star, Evelyn Lozado chillin in the stands. 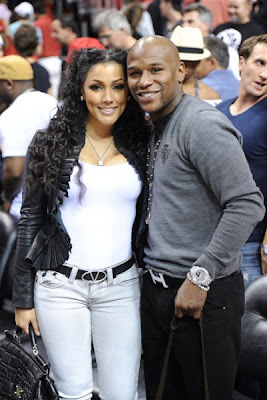 Pretty Boy Floyd Mayweather poses with model and fashion designer, Miss Jackson. 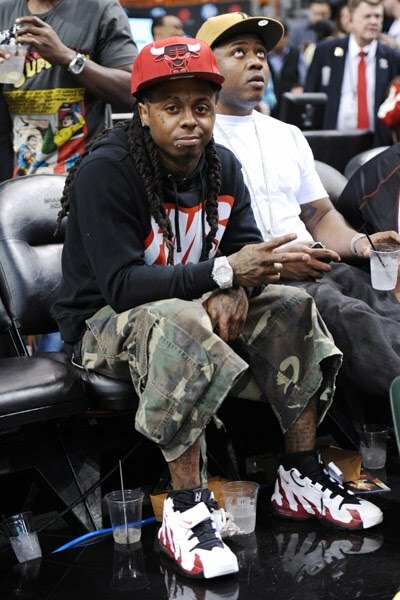 He is wearing an Hermes belt.